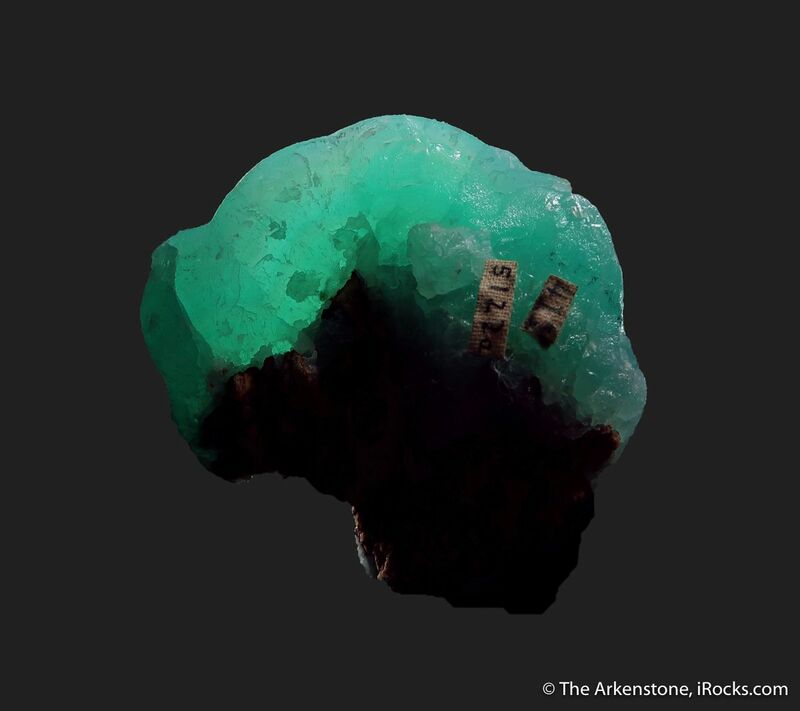 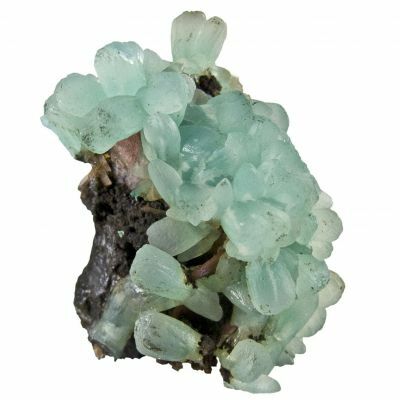 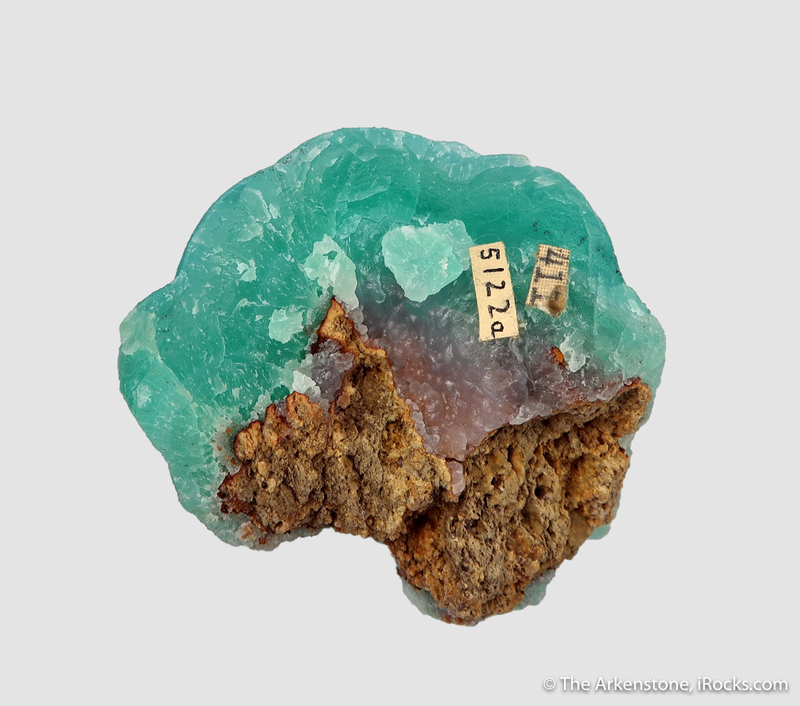 Very simply, this is a superlative Smithsonite from the Kelly Mine, considered the world's greatest locality for the species. 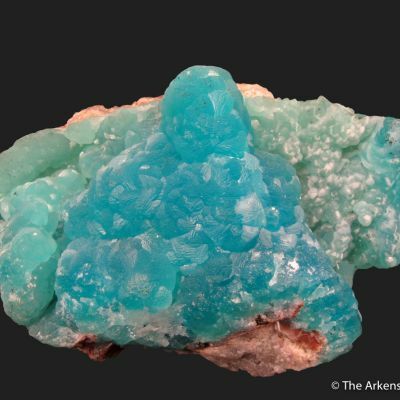 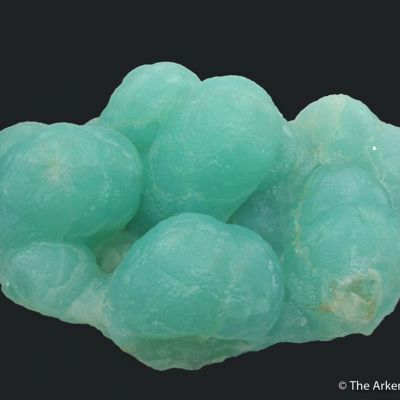 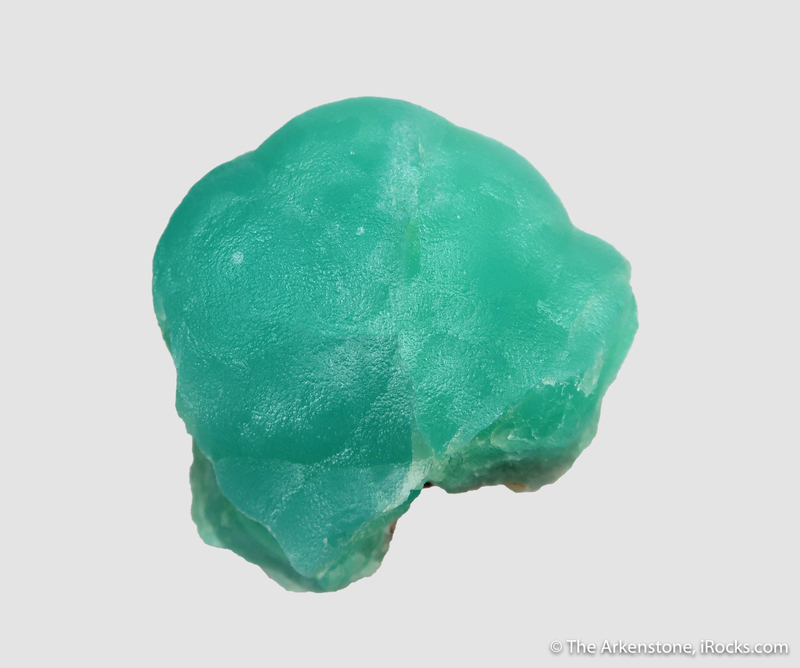 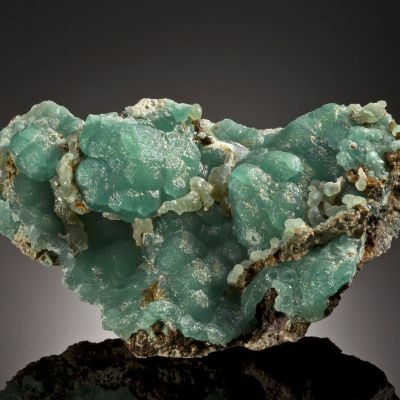 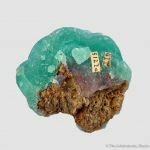 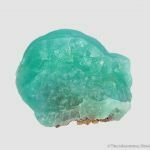 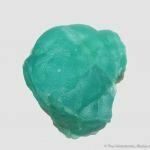 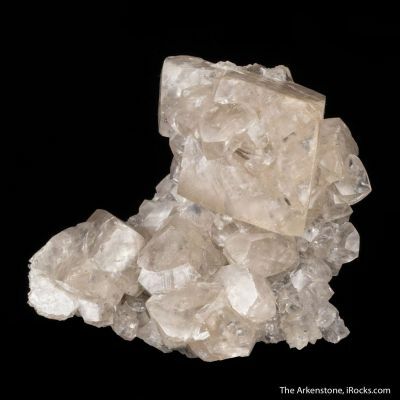 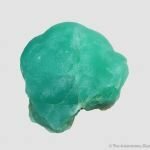 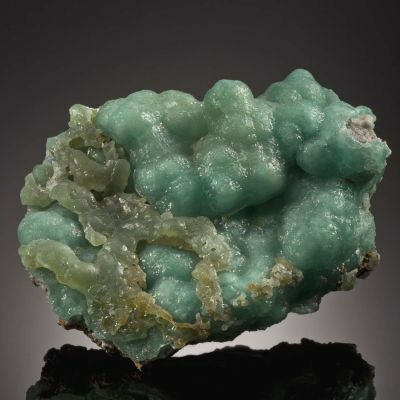 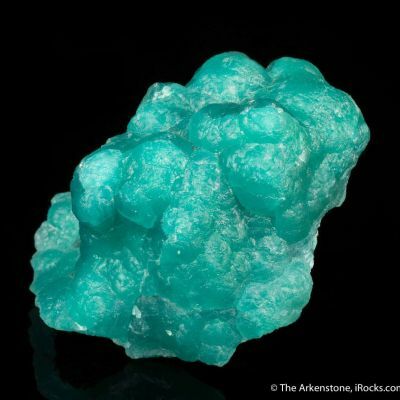 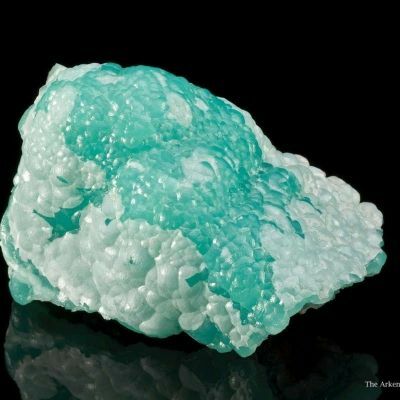 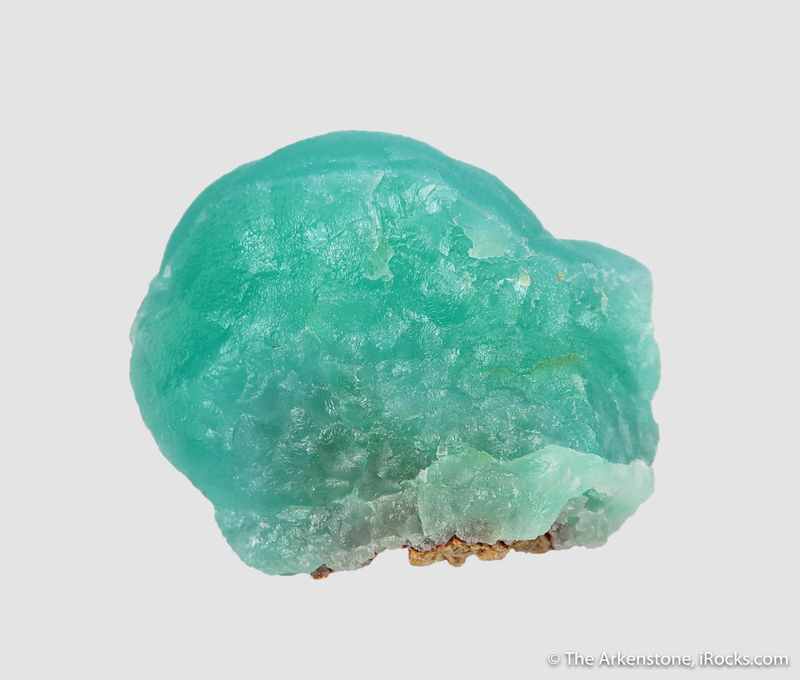 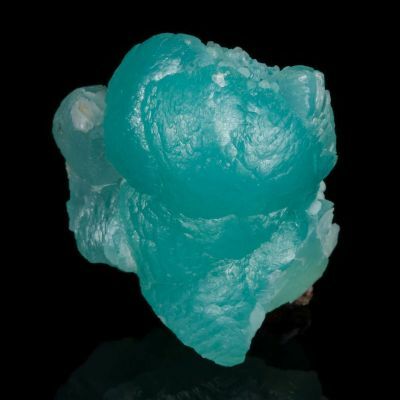 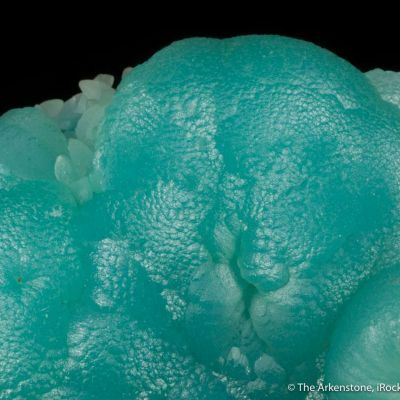 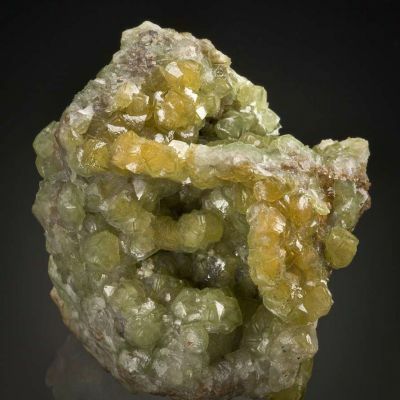 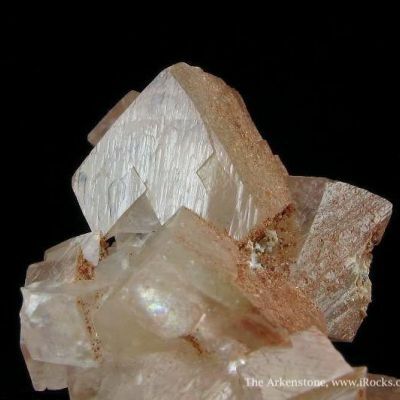 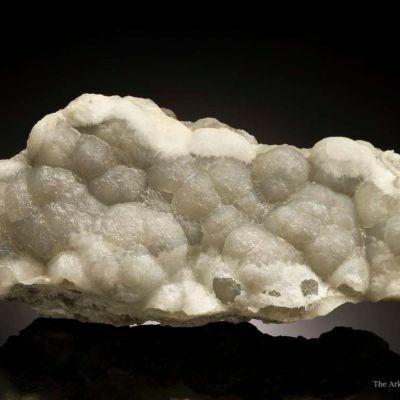 The highly lustrous, botryoidal Smithsonite has the classic 'Kelly Blue' color that is so sought-after, and it is unusually thick as it rests on a small amount of Limonite matrix. 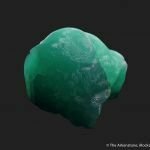 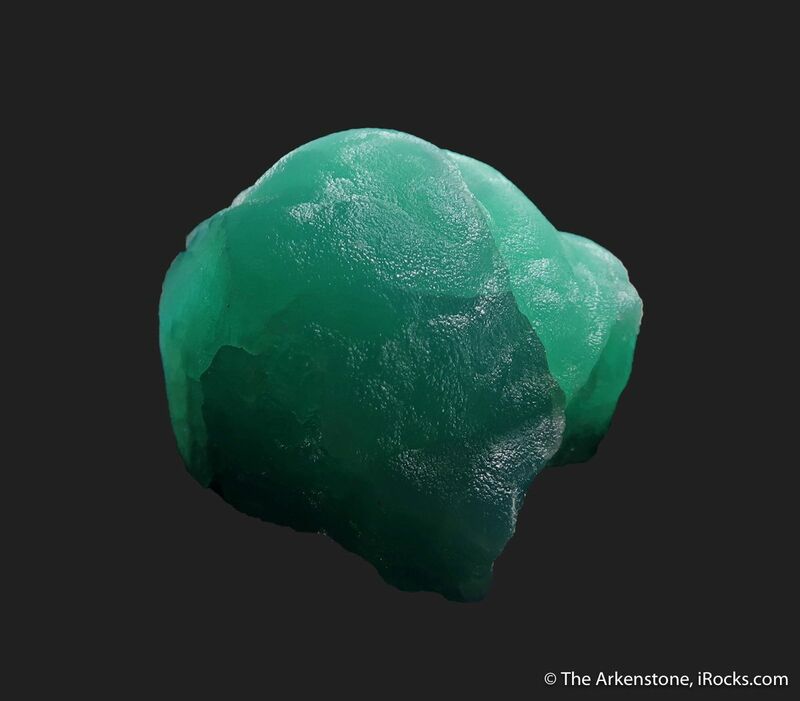 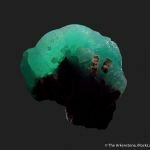 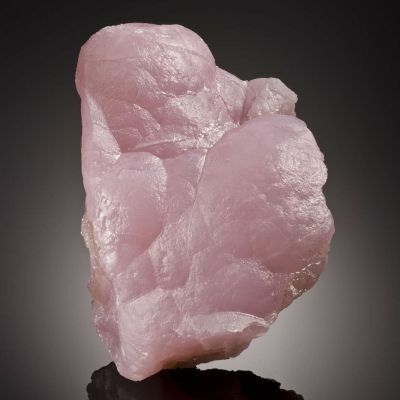 Specimens of this quality and color from this venerable old mine are increasingly rare on the market. 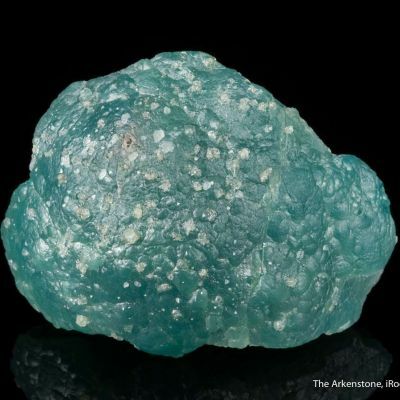 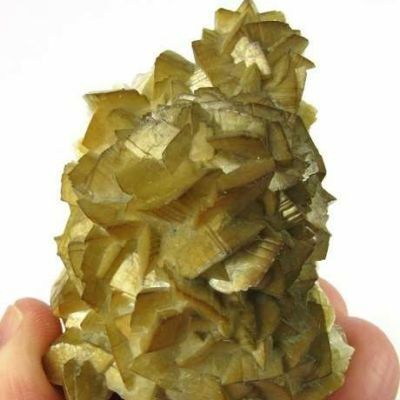 Unfortunately, depending on your point of view, much Kelly Smithsonite of this quality finds its way to lapidary use, as the carving value of pieces like this with the best color and thick rind probably exceeds the specimen value. 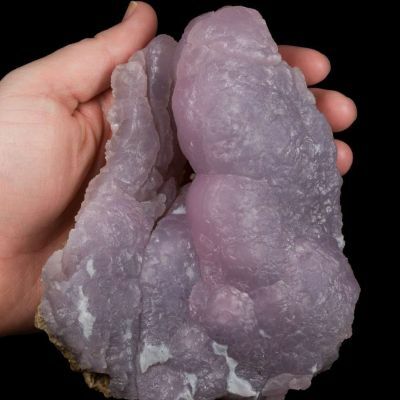 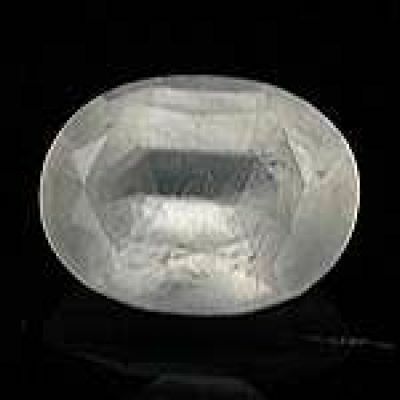 As great as it appears in the pics, it is even more translucent and more vivid, therefore even more stunning, in person. 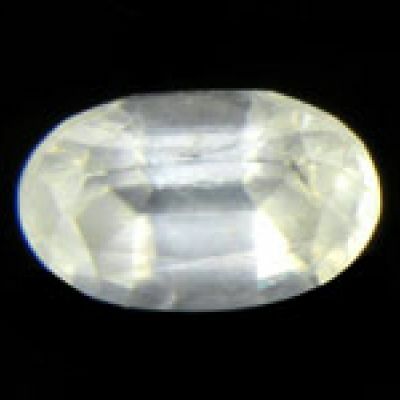 A killer! 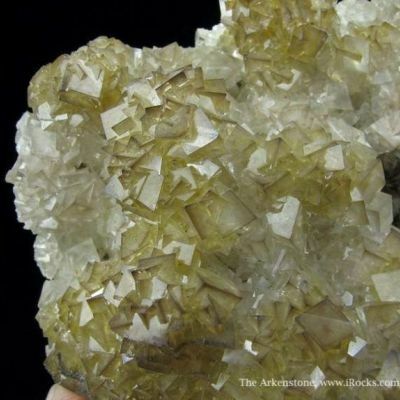 #5122a, Kay probably acquired this in the 70's.